Hyundai has been silently gaining traction in the SUV market since 2004 with it’s first small SUV version of the Tucson, already a competitor with the fan favourites CX-5 and Rav-4. In 2016 the Tucson got a makeover and took a step up to the medium SUV category. The version we’re featuring, the Tucson Elite, is one of three engine variations for the Elite version, and one of nine in the overall Tucson spread. If you’re selling or buying a Hyundai Tuscon it’s easy to get lost in all the car lingo and various engine types and fuel rating, not the mention the range of specs. We’ve broken things down for you to get your head around so you can have confidence that you’re making the best decisions when it comes to your Hyundai. The short version: the Tucson makes for a steep rival in the medium SUV market with impressive handling and competitive fuel ratings as well as overall good value for its standard specifications and features. A great car for families, city slickers, as well as those with a little more adventure in their veins. 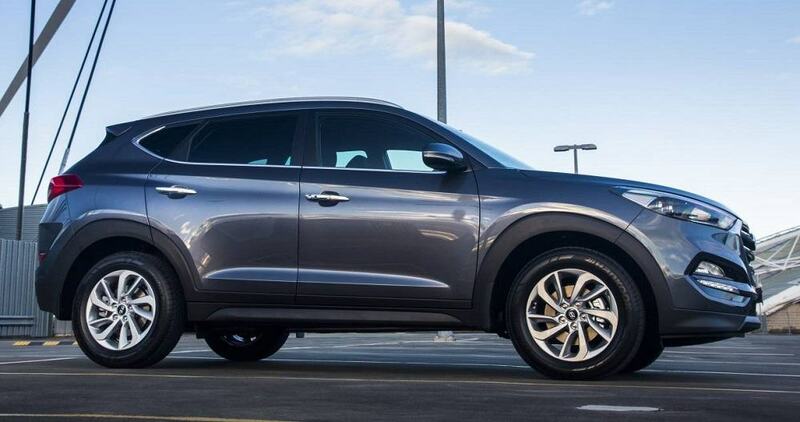 As mentioned above, the Elite does not stand as a version on its own when it comes to the Hyundai Tucson. While all nine version share the same name, they vary widely when it comes to engines, and naturally, when it comes to price. The Elite variations of the Tucson go from mid to upper range in terms of cost and come with a choice of petrol, turbo, or diesel engine, all version are automatic transmission. While there are technically nine variations on the Tucson, when it comes to specs we can basically break it down into three categories; the Active, the Elite, and the Highlander. All share some key standard features, but vary in their own unique ways. Let’s take a closer look. The Active: This is the Entry-level Tucson, but that doesn’t mean it’s lacking in finesse. This leather-seated interior also features a 7-inch display screen with bluetooth, Apple Carplay and Android auto as well as a multi-modality steering wheel that controls audio as well as cruise control. There is a rear camera and parking sensors, projector beam and dusk-sensing headlights, as well as 18-inch alloy wheels. It comes as either a manual or automatic two-wheel-drive with further engine variations. The Elite: The Elite is a step up in price point which, for the most part, reflects it’s additional features excluding the cloth trim and the 17-inch alloy wheels. There is a one inch larger touch screen, privacy glass, rain-sensing wipers, a ten-direction electric driver’s seat, dual climate control, electric parking brake, auto wipers and powered tailgate. It also has roof rails and the handy keyless unlocking system plus all of the standard features of the Active as well. It comes as either a petrol two-wheel drive or a turbo or diesel all-wheel-drive. The Highlander: This is the top end model for the Tucson and does indeed provide additional specs. In addition to the features of the Active and the Elite, the highlander offers six-direction passenger seat positioning, front parking sensors, panoramic sunroof, LED tail lamps and leather seating. It also has an impressive safety package detailed below. It comes as a turbo or diesel all-wheel-drive. The boot fits 488 Litres in normal position, and up to 1478 with adjustment of the rear seats. True to its name as a medium-size SUV, it is neither too spacious or cramped, but it is slightly smaller than the rival versions of the Mazda and Toyota. As a major improvement from earlier models, all Tucson’s made after 2015 now receive a 5-star ANCAP rating as opposed to four-star. Whlie all models feature the three top tether anchor points and two ISOFIX fittings for child seats, the Highlander definitely has the most comprehensive safety package. It has an autonomous emergency braking system, lane keeping assistance, blind spot detection for lane change assistance, rear cross traffic assistance, as well as it’s front and rear parking sensors. This is one of the downsides of the lower level Tucson’s, such as the featured Elite, which makes for a weak point when comparing to entry-level variations of its competitors that feature many of these safety specs as a standard. There are a few engine variations but most are 2.0L, 4 cylinder petrol engines with 6-speed automatic transmission. There are two manual options in the Active range, also 6-speed, that make 121kW and 203Nm. The 1.6 L, 4-cylinder turbo petrol has a 7-speed automatic transmission and makes 130kW and 265Nm. The diesel option makes 136kW and 400 Nm. In terms of emissions, Hyundai’s report is a combined rate of 7.7L per 100km. Several testers came within close range of the estimation and the standards are competitive for medium size SUVs. In terms of warranty, Hyundai provides and impressive 5 year/unlimited kilometres agreement. Servicing is required every six months or every 7,500 Kms. Pros: Attractive exterior, smooth handling, superb four-cylinder engine and options for manual transmission. Great safety features on the Highlander. Cons: Dual clutch a little stiff, safety features lacking in the lower-end models considering the price and competition.